About Us - Phoenix Products Co.Phoenix Products Co. Founded in 1982, we have been formulating high Quality products for the pool and spa industry. Our specialty has been the formulation of problem solving products. Being a family owned business, founded by a chemist, Technical support was not only a cornerstone of our customer service philosophy, it was reinforced in every employee morning, noon and night. Our sales and customer service team have decades of pool construction and water chemistry experience. Phoenix Products is a diversified Consumer Products Company, who formulates custom blends, designs and provides complete finished goods packaging, warehousing and distribution management. We can do as little as you need or manage a 100% turnkey product or portfolio of products. Our business consists of three segments, the first is Water Treatment, the second is Personal Care and third, Contract Packaging. The largest of these is our water treatment division, which supplies quality chemical products to the swimming pool & spa, commercial, industrial and potable water treatment industries. The second is our Divina Products/Personal Care division, which makes products for the Professional Hair and Nail Salon distribution channels. Our third business segment promotes our expertise in manufacturing and packaging chemical products for other companies that require local manufacturing partners on the east coast, or have no production facilities of their own, and there are many we have developed strategic relationships with. We call this segment of our business contract packaging. Phoenix Products expertise is our ability to handle, formulate, package, warehouse and distribute chemicals safely. Many of these products are harmless, even edible, while others are hazardous. 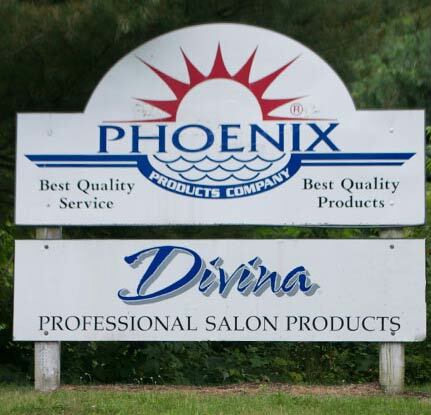 Phoenix Products and Phoenix Divina Products are run out of two modern 50,000 square foot facilities housing our warehouse and production facilities in central Connecticut. Phoenix distributes almost 80% of the products we package regionally with our own truck fleet. I hope this document has been helpful in summarizing what we do. Hopefully, you see a fit and would like to reach out. (Click here) I am looking forward to discussing your project requirements with you.